Each year, we invite our grandparents, grandchildren, and ambassadors to step right up for an enjoyable picnic extravaganza! 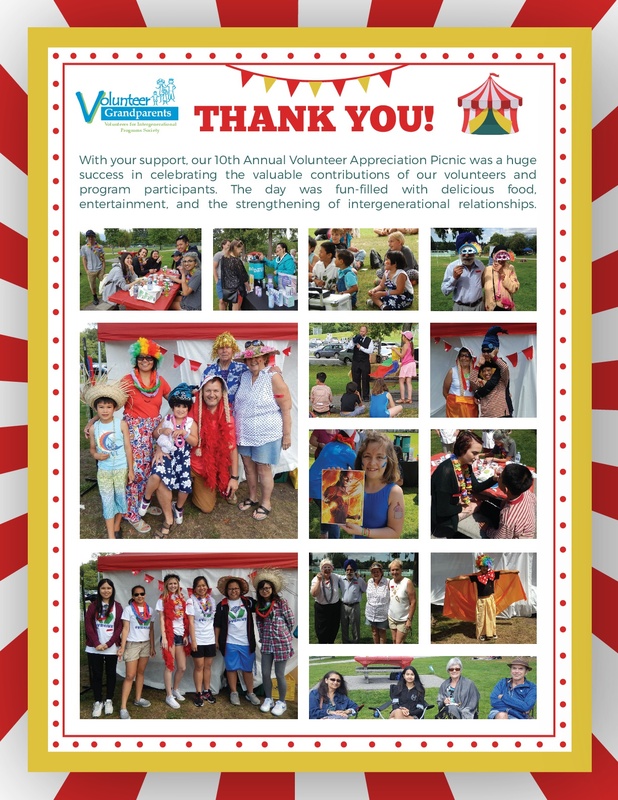 Our 10th Annual Volunteer Appreciation Picnic held in 2016 had a carnival theme, and it and gave us the opportunity to bring everyone together to celebrate the valuable contributions of our volunteers and program participants. We received over $3000 of community support from our wonderful donors, which made our event a huge success! 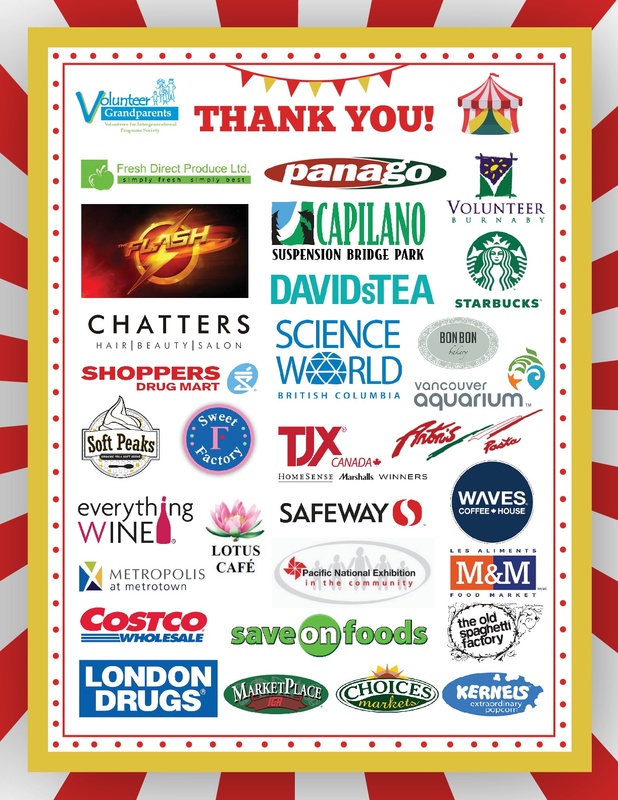 The day was fun-filled with food and drinks from Panago Pizza, Starbucks Coffee, and DAVIDsTea, prizes from our many donors, and entertainment from Joseph the Magician. Thank you so much to everyone for supporting our event. To view more pictures of our 10th Annual Volunteer Appreciation Picnic, click here to check out our Facebook album.